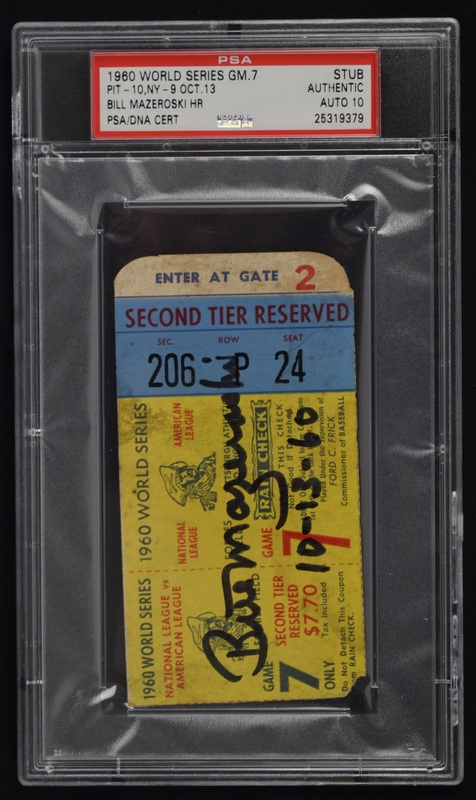 This lot features an incredibly rare and highly coveted ticket stub from game 7 of the 1960 World Series in which Pirates legend Bill Mazeroski hit a walk off home run to win the World Series against the New York Yankees. Mazeroski has signed and inscribed the ticket stub "Bill Mazeroski 10-13-60" in black marker. 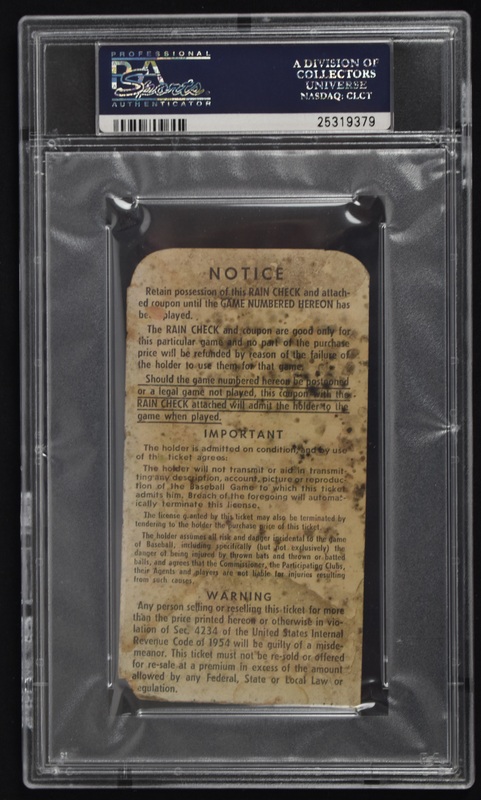 Professionally authenticated and encapsulated by PSA/DNA. The Mazeroski signature has been graded a perfect gem mint 10 by PSA. The heavily favored Yankees actually outscored the Pirates 55-27 during the Series but would fall in game 7 in one of the most dramatic ending to any World Series game ever played.